Found this little fellow clinging to an otherwise unremarkable wall, and much to the dismay of arachnaphobes everywhere, I decided to let my lens follow him (her?) for a little while. But fear of spiders and faux-cyber-friends notwithstanding, the world is a wonderfully diverse place, and I'd hate to miss any more of it than absolutely necessary. Ewww... Not what I wanted to see! They help us in the war on bugs! That's an orb weaver spider. They are known for their incredible webs. 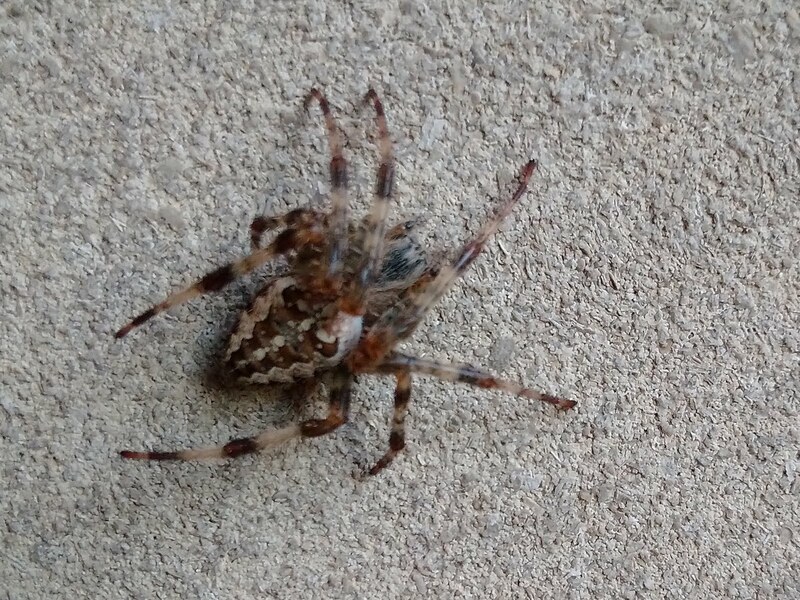 Cross Orb Weaver (Araneus diadematus), maybe? Well, anyone who bolts over one little spider picture deserves to miss all the good posts on here. I'd say "good post", but I hate spiders. But I'll be back anyway.